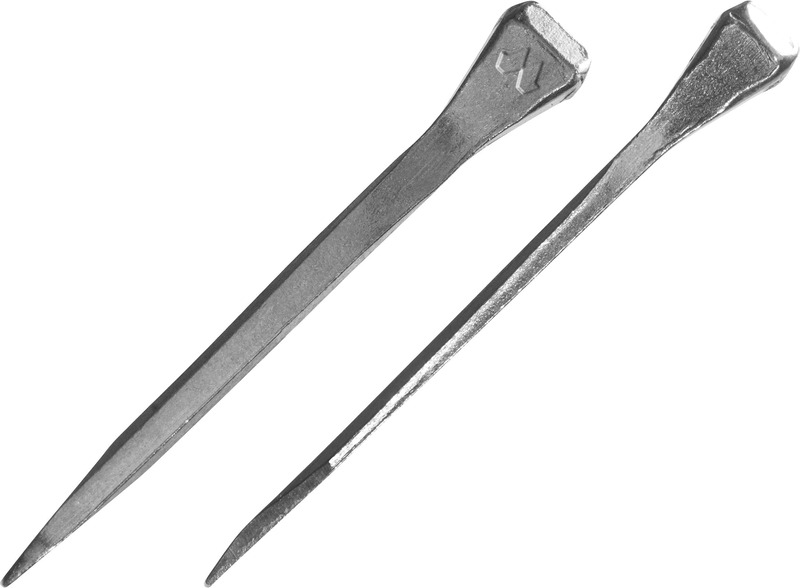 The M nail is a French-style nail with a long neck. 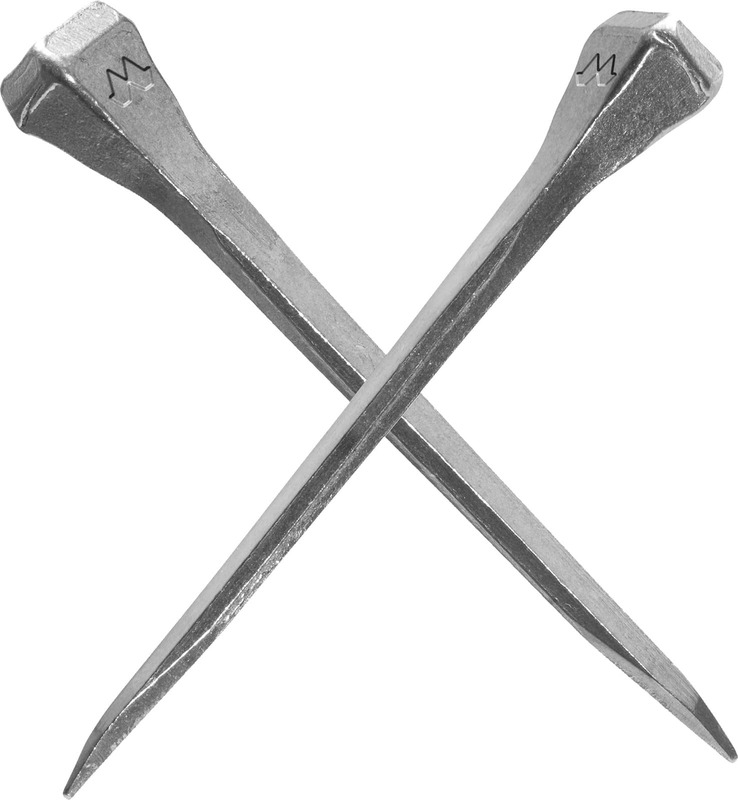 Compared with other French-style nails such as the JCF and VF F, the head of the M-nail is narrower. This means that the head of an M-nail fits very deeply and securely in the nail holes of all Mustad V-crease horseshoes so that the head is flush with the surface of the horseshoe.